When Apple shuttered photo-management tool Aperture last summer, many photographers were left wanting. For those who miss the software and would rather not use Apple’s new Photos app or Adobe Lightroom, Mylio claims to replicate the experience the most with its latest update. Close to a year after Aperture shut down, Mylio emerges as a solution for those legacy Aperture libraries. 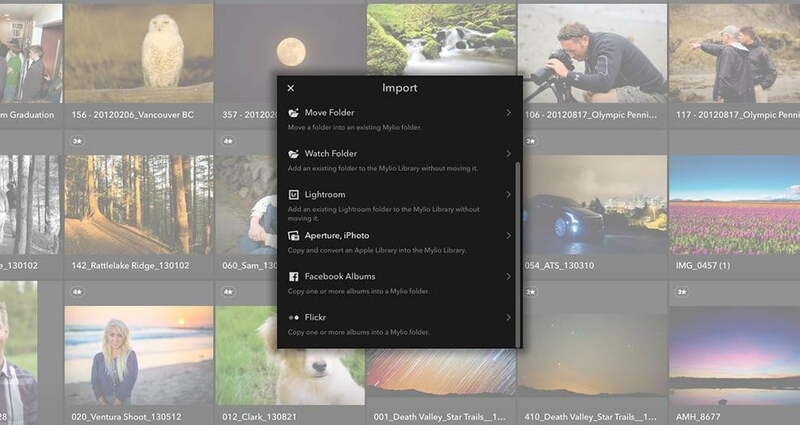 Mylio’s photo management service launched last year, but the latest update promises to move Aperture libraries intact with all images, edits, formatting, tagging, and other elements – just as you made them. Mylio adds additional editing, protection, and organization capabilities, and the tool also integrates with Lightroom and Photoshop for a seamless experience. Mylio is not the first attempt to capture the Aperture audience. Last fall Adobe created a handy migration plug-in to help users bring their libraries over to Lightroom. In a comparison chart Mylio provided us, Mylio says it offers several Aperture-editing features that are not available in Lightroom 6, such as edit-crop, rotate, flip, exposure-blacks, saturation, contrast, vibrance, temp, tint, shadow, sharpen, black and white, definition, and highlight. Mylio will sync and protect Aperture libraries across multiple platforms, including Apple OS X, iOS, Windows, and Android. If you want to give Mylio a try, it’s currently offering a 50-percent discount off all subscription tiers (details here). Click here to read our previous hands-on with Mylio. Comparing Aperture (left) with Mylio (right).